I have a pot of mulled apple cider simmering on the stove, and we turned the heater on for the first time yesterday. Fall is finally here. All I want to do is curl up with a good book and sip on something warm under a blanket. If only I had all the time in the world…. Here’s one if you’re looking for some fall reading to keep you warm. 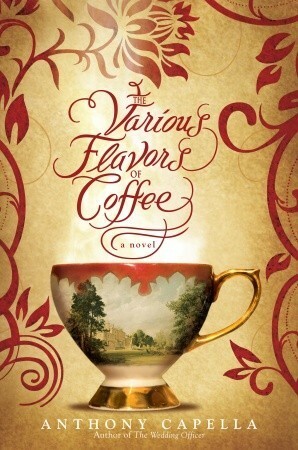 Now, The Alchemist’s Daughter isn’t your typical cozy mystery though it has elements of the cozy genre. It’s set in the 16th century, across the bridge from London in a slum town known as Southwark. Bianca Goddard is a not your typical amateur sleuth either. She is a smart independent young woman trying to take care of herself at a time and place when that was pretty unheard of. Her passion is herbal medicine, and she’s good at it. She’s curious and constantly experimenting and researching, a trait she inherited from her father, a well known and mistrusted alchemist. But she has no desire to be associated with her father or alchemy. She want’s to do something important, and help people. When her friend, Jolyn, suddenly falls ill and dies, Bianca blames herself for not being able to save her, and the local constable blames her too, accusing her of murder. It appears to be a poisoning and she had just given Jolyn an herbal remedy. She has to outwit the constable, and prove her innocence by using her knowledge of herbs and healing . A cast of colorful characters turn up to help, and sometimes hinder her along the way. I can’t wait until the next installment in the Bianca Goddard Mysteries. I hope to see further development of Bianca’s character, more about her past and how she breaks away from her Alchemist father to become an independent herbalist. I personally love this current trend of exploring the darker side of London. It makes for a familiar yet intriguing setting. It seems a little more realistic to me than reading about the lives of the rich and privileged. But I warn you, if you like cozy mysteries for their sweet settings and lack of graphic descriptions, this one may not be for you. Tudor London was not the most pleasant place to live for most, and Lawrence’s descriptions of sights and smells are not for the weak. If you’re feeling the cold that’s slowing getting colder…this book is sure to make you feel warmer, or maybe just grateful to live in the time of hot running water and electric heat. Interested in Tudor England? There is more than a lot out there concerning the politics and Henry VIII and his wives. Some very good stuff too. I’m sure you’ll find something to pique your curiosity. I don’t think you need my help. However, there is a lot less about the lives of the poor throughout England’s History. I thought I’d recommend a few. For something similar to The Alchemist’s Daughter (but a bit darker) check out The Thief Taker by C.S. Quinn. 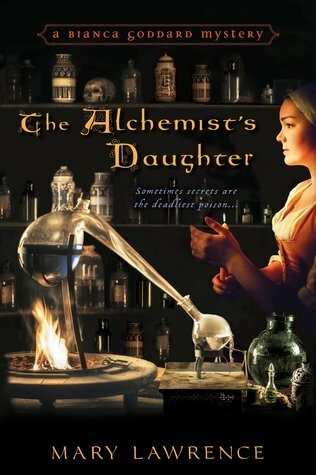 Another alchemist’s daughter appears in Alchemy and Meggy Swan by Karen Cushman, set in Elizabethan England. 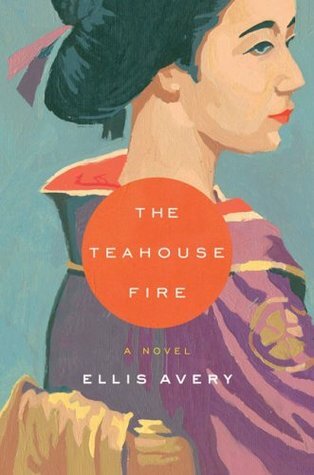 Though it is a rather short children’s novel it takes a similar approach to The Alchemist’s Daughter in describing the conditions of daily life. I also recently reviewed A Memory of Violets by Hazel Gaynor which is turn of the century, and I’ve added some good links to non-fiction about London’s poor in the review. I also am a fan of the children’s Victorian era books in the Montmorency series by Elinor Updale. There are no children in in the books, and it can be a bit dark, so I’d recommend them for older children, teens or adults.